The Picture Quality is looks good, Sharp details but also smooth at times. Colors look good but not much to go on as it’s a darker grittier film. 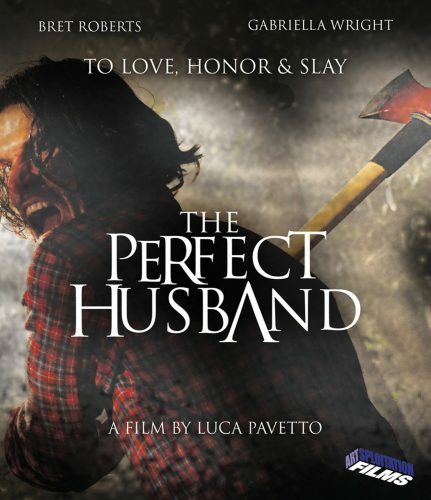 The Perfect Husband is an Indie Spousal Horror film with a few thrills. A Couple is set to take a trip to a cabin in the Woods to take minds off of a few things that you only find out about farther along in the movie. Suspicions run deep and madness begins to set in. Who comes out Victorious ? Who else is in the woods? Who is really crazy?Don’t Just trust Any Person You Run up to in the Woods. Overall the movie was a decent watch, well put together and good Cinematography. Story and Dialogue could be better but for what it is still may hit its mark with Indie Art Horror film viewers. Bright side is the PQ looks pretty good and sharp but Sound needs a boost in the Volume department. Perhaps if I turned my db’s up from its normal spot I might have jumped once. If you’re not into the film and one of those viewers who want to turn it of, At least get the gist of the film and hit up the last 15 minutes. Might make you want to go back and view the whole thing. With that said I give The Perfect Husband a 3 out of 5 as the film was a food view. Yes it has most horror elements seen before via cabin in the woods but it also brings a little madness and Psycho into the frame. Maybe a hit or miss but if you walk that line with films Give it a shot, if not Rent it.